Christian Humanism and the Moral Imagination. The problem at hand is in the news week after week: a hard-right, highly politicized Christian fundamentalism has been repeatedly involved in a denial of science. Religious denial of evolution is merely the most famous example. And it persists: despite the fact that a federal judge declared that “creation science” is not biology, “creationists” on textbook committees in Texas continue to wreak havoc in the textbook market nationwide. That's a problem for more than biology teachers. Geology and astronomy also challenge the historical accuracy of Genesis. Science illiteracy, already widespread, threatens yet another generation. Another example: climate change, widely accepted as indisputable fact elsewhere in the world, remains controversial in the US. And why? Some particularly radical Christians insist that it is “unbiblical” to think that the fate of the planet may rest in our hands, not in the hands of God. But the bigger problem is the extent of fundamentalist religious hostility to science-in-general. People who are already committed to a denial of science have proved a willing audience for lobbyists and others who seek short-term gain from blocking climate legislation. Religious denial of science sows a host of problems. As a Christian, I am obligated to speak up on such issues, because Christian fundamentalism can only be stopped from within Christianity and in Christian terms. The illegitimacy of their claims needs to be clear to everyone, believers and non-believers alike, because that and that alone will deny them the religious credibility and the religious political cover that they seek. What's at stake in the religious denial of science is far more than willfully ignorant denial of solidly established research results. Far more than “facts” have been denied, distorted, or obfuscated. What is ultimately at stake is the proper and necessary relationship between Christianity and scientific research in a high-science, high-tech culture. If American culture were an organism, I'd say it has a broken leg, or possibly something far more serious--a malignancy, perhaps, perhaps the malfunction of a major perceptual capacity like sight or hearing. This malfunction matters because problem-solving in a high-tech democracy requires far more than scientific research and well-established findings. We also need virtue. Problem-solving also requires the social and political will to act in appropriate ways, with humble safeguards and with a modest, honest willingness to correct course as necessary along the way. Problem-solving also requires the moral courage and the moral resolve to do what it right even when it is difficult, costly, or inconvenient. Problem-solving also requires a capacity for paradox: deep responsibility to the common good must be matched by an equally deep responsibility to the rights of each individual. The needs of the present must be balanced with the needs of the future, despite how difficult that can be. Problem-solving also requires both the ability and the willingness to persuade others to go along, but persuasion in a democracy demands more than data-sets. Persuasion requires poetry: images, analogies, storytelling that makes the issue at hand concrete enough and relevant enough to garner the necessarily broad consent. Christianity, like other religions and like the best of ethical-secular humanism, has immense resources for inculcating virtue and for telling the stories that persuade people to take costly moral action to serve the common good. But Christian fundamentalism keeps coming down on the wrong side of issues, supporting willful ignorance, intransigent political extremism, and an irresponsible denial of the facts. I contend that Christian fundamentalist denial of science is a moral failure of considerable significance. For scientists and non-scientists alike, and for thoughtful religious people in any faith-tradition, the conflict between science and Christian fundamentalism is an appalling state of affairs. But the solution here is not to denounce Christianity across the board, hoping that if it were sufficiently denounced and widely-enough ridiculed then it would simply disappear. That's magical thinking too. Worse yet, it is ceding to the Religious Right all of the cultural capital they have already misappropriated so successfully. The solution here, I propose, is a deeper understanding of the cultural currents that have swept us into this dangerous situation. We have to understand how we got here if we are going to find our way out. In what follows, then, I will trace two misunderstandings that are deeply rooted in our shared cultural history. One is the popular image of “science” in our culture. The other is the popular understanding of metaphor. At first glance, the two issues might seem remarkably different. In fact they are remarkably inter-related. But for now, for the sake of a simple preliminary summary of my major themes, I'll discuss these problems one at a time. Genuine, ordinary, experimental science has been attacked by a hard-right, highly politicized religious fundamentalism. But it has also been attacked another by, far less visible cultural development: a wildly inappropriate demand for absolute beyond-all-question TRUTH. As a result, working scientists are hemmed in on both sides. On the one hand, biblical literalists won't listen to the facts of evolution, the facts of climate change, and so forth. But on the other hand, there is an equally unreasonable demand for a quality of certainty that science cannot provide. Such demands are not satisfied by modest, precisely delineated research results and complicated statistical probabilities. As a result, scientists are condemned for failing to provide the absolute TRUTH that people expect “science” to provide. This is not pretty. Because the West has become such an intensely technological culture, such widespread misunderstanding of science is quite nearly catastrophic. In effect, this distorted version of “science” has become something like a fundamentalist religion all of its own. Ordinary, empirical, experimental science has been recast as a source of absolutist, beyond-all-question TRUTH. That's crazy. But it has happened, and we need a for label it. Let's call the distorted version “dogmatic SCIENCE.” That's not a perfect label, but I've been trying for months now to find a perfect label. This is the best I can do. In fact, I am increasingly fascinated by the fact that we don't have a clear label for co-opted science. It's not pseudo-science: pseudo-science is people claiming that apricot pit enemas will cure your liver cancer, or crystals on a lanyard around your neck will cure your arthritis. Neither can I call it “science as a religion,” because we can't go on assuming that “religion” means “absolutist-authoritarian nonsense.” “Dogmatic SCIENCE” not a catchy phrase, I admit. But for now it will have to do. Popular misunderstandings of science frustrate honest, sophisticated scientists terribly, just as popular misunderstandings of Christianity frustrate sophisticated believers. In fact, I suspect that the most frustrated group out there is made up of people who are both working scientists and honest, sophisticated believers. Just as science has been widely misunderstood, so also metaphor has been widely misunderstood—and especially what it means to say that something is symbolic. For instance: because I do not read Genesis as a literal account of planet formation and human origins, I can be said to read those narratives “metaphorically.” Just as Genesis does not trump biology and geology, so also the story of Jesus walking on the water does not trump physics and what physics attests about the surface tension of water. And so I can be said to read that account “metaphorically” as well. But for many people, that means I think those stories are false, or trivial, or to be brushed aside. And because I read those stories “metaphorically” rather than literally—that is, not as accounts of actual historical events— I look like a liberal theologian of a kind that was quite common in the first half of the 1900s. I am not a liberal theologian. I am not a theologian at all, just for starts, or at least not in any formal academic sense: I am a literary critic and a cultural historian. That's a different expertise. But in particular: I can't be lumped in with “liberal theologians” because I radically disagree with how they read Scripture. Liberal theology at its worst regards biblical narratives as something like quaint illustrations of systematic theology. A narrative could be reduced to the philosophical claim that it embodied—the moral of the story, so to speak—and then the story discarded, like the shell of a walnut is discarded after we extract the edible part. (Never mind “walking on water.” The moral of the story is that we need to trust Jesus.) It was as if the master poets and storytellers of the world's single most influential book would have written propositional systematic theology if only they knew how. But they didn't know how to say, “what matters is trusting Jesus.” So they told stories instead. For liberal theology, the essence of the faith is this set of abstract ideas. For liberal theologians, miracle narratives are almost embarrassing. They are not to be taken seriously. What's “serious” is the moral of the story—a moral that is far more clearly delineated by centuries of creedal orthodoxy and abstract academic theology. Thereby does theology displace poetry and storytelling. As a literary critic, I find that appalling. Translating narratives into proposition is as naive a mistake as believing that the earth was created in six days ten thousand years ago. Underneath such misreading is the belief that “metaphor” means “false.” Such beliefs date from the late 1500s and early 1600s, when metaphor was regarded as merely decorative—and furthermore deceptively so. Dishonestly so. But linguists today argue that metaphor is essential to language, to cognition, and to critical thinking. Metaphor is both a cognitive strategy (the ability to think by analogy) and a semantic resource (the linguistic ability to stabilize and examine paradox). But in the eyes of many people, to say that a statement is “metaphoric” is to say that it is something close to “fake.” To say “just a metaphor” in dismissive tones is akin to saying “just an electron” and thereby brushing aside all of quantum physics. Specifically: in my upcoming analysis of miracle narratives, I will argue that these miracles are both profoundly symbolic actions, dense with allusion to other equally symbolic narratives elsewhere in scripture. In saying that, I am not saying that these stories are false. I am not saying that Christianity is false. I am saying that Christianity is remarkably, powerfully true, but the truth that it offers is just a tad more sophisticated than believing that Jesus could change the surface tension of water. Furthermore, the truth that Christianity offers cannot be extracted from the gospels narratives as a walnut is extracted from its shell. Doctrine and dogma and creed will never replace scripture. Neither will musicology replace music, or literary theory replace literature, or art theory replace art. The intellectually embarrassed liberal-theological effort to extract “Christianity” from the metaphoric and symbolic density of the Bible was a mistake. It arose in the very same decades where we find non-science intellectuals boldly asserting that dogmatic SCIENCE is the new “religion of man.” The co-opting of science and the theological misunderstanding of metaphor and narrative are two different but closely related aspects of Western culture after 1870 or so. We can't straighten out the relationship between Christianity and science without first getting straight the misappropriation of “science” in Western culture. That's our first task together here. Our second task is to look plainly at miracles and at prayer as premier instances—supposedly—of magical thinking on the part of believers. And somewhere in the middle, between one task and the next, I'll turn to the anthropologist Clifford Geertz and the evolutionary psychologist David Sloan Wilson: Geertz argues that religions are systems of symbols creating a world-view; Wilson argues further that the world-view thus created is designed to minimize social conflict and encourage pro-social collaboration. That works for me. It's minimalist, I grant: my faith is much more than a symbolic organization of my pro-social tendencies. But it's a solid starting point, and better yet it's one that makes sense to non-Christians. I contend that we need Christianity as one way of doing what Geertz and Wilson describe. We need that just as we need scientific research as a method for investigating the world around us. Both authentic Christianity and authentic science are remarkable powerful forces in American culture. They need to be understood clearly and their resources deployed honestly. That's a basis upon which secular humanists, the religiously unaffiliated, members of other traditions, and Christian humanists can all acknowledge one another and collaborate intelligently. It is a basis upon which Christians and Hindus and Muslims and Jews and secularists—and anybody else out there—can minimize conflict and collaborate thoughtfully to serve the common good of the entire society. Our entire society, the colorful and glorious diversity of this remarkable nation. Together, collaboratively, we can confront religiously-based radicalism, reclaim “moderate” and “compromise” and “expert” as honorable qualities, and then begin to solve urgent problems on the basis of the best information available. I will begin, as always with a story: we need to keep the issues rooted in our own ordinary experience. My story of grappling with religion-v-science issues will be chapter 2. In chapter 3, I'll begin by going back to the Victorians. As I explain in Confronting Religious Absolutism [forthcoming], contemporary Christian fundamentalism has its origins in two mid-Victorian developments, papal infallibility and biblical inerrancy. Here I want to examine in detail something else happened that happened at the same point: science was culturally co-opted. It was co-opted as a remedy for the same cultural anxieties that lay behind the co-opting of Christianity. That story continues in chapter 4. 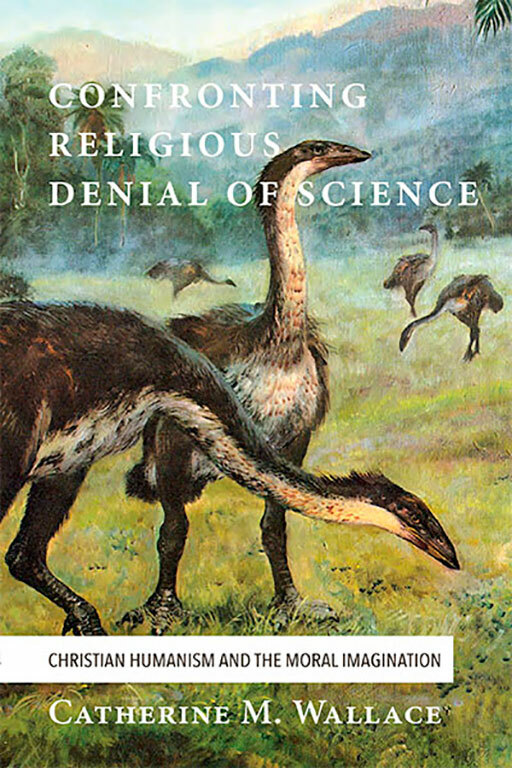 In the early decades of the 1900s legitimate science was increasingly displaced in popular culture by dogmatic SCIENCE, which was widely celebrated as a new-and-improved religion for a new century. Dogmatic SCIENCE became an absolutist opponent to absolutist religious fundamentalism, which was gathering steam rapidly. Dogmatic SCIENCE proclaimed the “secularization thesis” that religion is intellectually and culturally “primitive” and thus doomed to die out. The secularization thesis was social-science orthodoxy for most of the twentieth century. That orthodoxy was mistaken. Nonetheless, it's vitally important to understand—and to respect—the rise of secularism. So I'll take some time to do so. In chapter 5 I ask a fairly obvious question. Somewhere between Edward Tylor's Primitive Culture (1871) and Walter Lippmann's A Preface to Morals (1929), dogmatic SCIENCE became for many the new-and-improved dogmatic religion. But what sort of religion is it? What is its implicit “theology”? The implicit theology of dogmatic SCIENCE portrays God as the Engineer Almighty. That divine engineer at his keyboard is also the God imagined by religious fundamentalism. The Engineer Almighty is a divinity with serious problems. If this character has all of reality under his detailed control, then he has a lot to account for. Why is the world so fraught with pain and suffering? Furthermore: the rise of such a theology demonstrates the extent to which our ideas about God are culturally constructed. They reflect our world-view. And so the cultural history of how we think about “who God is” matters—even for non-believers. It matters because speculation about “the nature of God” provides the cultural source-code whereby we think and talk about who we are. “What God demands” similarly codes for what we demand of one another. Whether or not you think about human identity and our socio-moral obligations to one another using “God-talk” at all, the fact remains that God-talk is the ancient Western source-code for such issues. That was for me a key recognition in trying to sort through the odd convergence between Christian fundamentalism and weirdly dogmatic popular misunderstanding of SCIENCE. Dogmatic SCIENCE was not the only cultural alternative to fundamentalist versions of Christianity. There were a whole array of others in those crucial decades from 1871 to 1929. Some of them turned into that curse of the twentieth century, political totalitarianism. Totalitarianism is simply a secular form of theocracy: the state enforces an ideological “orthodoxy,” murderously if necessary; ideological orthodoxy in turn undergirds and legitimates state authority. That's why totalitarianism—whether secular or religious—is such a threat to our collective well-being. What all totalitarian systems have in common is this: they have a TRUTH that cannot be questioned, and they seek control of the state in order to coerce obedience from the rest of us. Chapter 6 continues exploring this idea. David Sloan Wilson, an evolutionary psychologist, builds on Geertz's claim. Wilson contends that the function of a religious system-of-symbols is to elicit and sustain pro-social behavior, including self-sacrifice and costly collaboration for the common good. But here's an obvious consideration: symbolism is a strategy of meaning specific to the arts. Nothing is symbolic in-and-of itself. Religious symbolism is thus inextricably embedded in religious storytelling, song, visual arts, and dramatic performance. We need to grapple with religion as an art, not as a rival account of human evolution, geological history, and the like. We need to respect the truth-claims of its symbolism without turning symbolic narratives into dubious accounts of supposedly empirical observations. In chapter 7 I begin to test the claim that Christianity can be understood as a system of symbols encouraging pro-social attitudes and behavior. I will describe miracles stories as narrative accounts of symbolic actions—which is what scholars today say all miracles stories were in the ancient world. In chapter 8 I'll tell one of my stories, this time about a playground confrontation over the nature of prayer. Chapter 9 will define prayer as an introspective creative process, not a call to divine tech support. In chapter 10 I'll take a look at neuroscience research into a prayer practice now secularized as “mindfulness based stress reduction” (MBSR). In chapters 11 and 12 I'll explain how prayer in the Christian tradition tries to go beyond what MBSR offers any of us. I am not trying to convince anyone to pray. But I am trying to convince everyone that prayer is not magical thinking. But first, as always, a story: somebody I knew said she would be “praying for me,” and I struggled to make sense of what she was saying. In some ways, it was embarrassing nonsense. But in other ways . . .